Indoor air quality is a major concern for homeowners when they decide to investigate air duct cleaning. 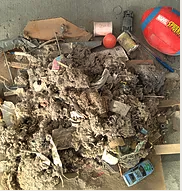 In typical homes, up to 40 pounds of dust are created annually through everyday living. Heating and cooling system are essentially the lungs of your home, taking air in and breathing air out. Due to traffic, children, pets and normal wear, carpet fibers inevitably become soiled and dull. Regular professional cleaning from a trained technician is important. Like a car, your carpet needs to be regularly maintained. 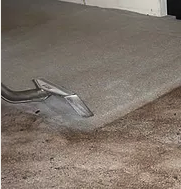 Carpet may appear clean on the surface, but periodic cleaning by a certified technician can remove what you can’t see and help your carpet retain its fresh, beautiful appearance. According to the National Fire Protection Association, this common household appliance caused more than 15,000 fires in US homes during 2010. 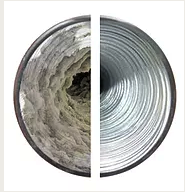 Lint and other debris can build up in your dryer hose and vent duct. This reduces air flow, backs up exhaust gases and eventually creates a fire. Such hazards can be avoided by thoroughly inspecting and cleaning your dryer vent each year. Clean windows make your house more aesthetically pleasing and removes, grit, grime and hard water that builds up on both the inside and outside surfaces. 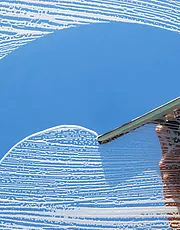 Glass that isn’t cleaned can become hazy or stained, which ends up costing more in the long run. We’ll restore the beauty of your grout quickly with our professional systems. Grout is porous and easily absorbs soils. Sometimes mopping adds soil to your grout, since mop water gets dirty. 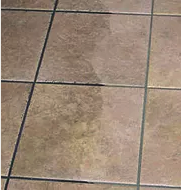 We’ll blast the dirt and grime from your tile with a powerful jet of super heated cleaning solutions. Professional cleaning and polishing will add sparkle and shine to your flooring. Furniture and fabric manufacturers recommend that consumers don’t wait until severe soiling happens before cleaning. If fabric is extremely soiled, it will be more difficult to restore its original color, appearance and texture. 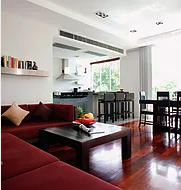 Regular cleaning of fabric and leather furnishings by a certified technician can restore your furniture’s appearance, extend its life and keep it looking new.